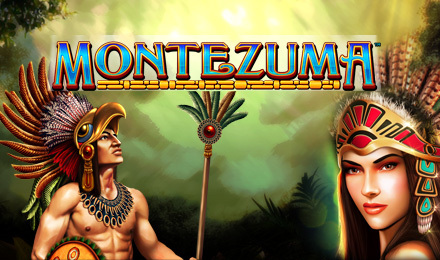 There are loads of chances to win big when you play Montezuma Slots at Moon Games! There are guaranteed multiplier bonuses, up to 25 FREE spins and more! Good luck! Montezuma Slots starts with a special spin of the wheel before each spin of the reels, revealing a generous multiplier up to 10x. There are FREE spins, bonus guarantees and so much more! Spinning 3 or more Shield Scatters will trigger your FREE spins bonus, where you'll be rewarded with between 3 and 25 spins. Plus, all winning combinations will be multiplied, giving you some big wins! There's also a Bonus Guarantee, which means that when max lines are played, your FREE spins round will award at least 10x of your total wager. Loads of chances to win and loads of fun to be had! Play today!